I am a 20 year old male who has been struggling with hair loss since age 16, but didn't seriously start receding until age 18 (I know some users on this forum believe that 20 is too young to be considering a transplant). Relevant info: I've been on Finasteride for over a year. I was in a "freak accident" at age 17 that caused me to be subject to immense stress and brutal physical conditions for a couple months. This accelerated my hair loss, although it recovered slightly for a few months after. I live a very stressful lifestyle (working on improving this). I tried Minoxidil for about a week, but making time for it twice a day and dealing with the side effects unfortunately wasn't practical. Anyway, I've done my research and would love nothing more than to not have to worry about always wearing a hat or no one believing I'm under 30. I'm grateful for current technology and the extensive list of surgeons on this site, but my main question is how to pick the right surgeon out of many, as this will be a decision I live with for life. All photos are within the last month. I live in a suburb of NYC but would probably be willing to travel if necessary. I'm 23 years old, and have had a pretty-rapid receding hairline for the past 6 years or so. I've tried rogaine, shampoos, etc. consistently for the last 3 or so years with no results in even slowing the loss. I've attached pictures of what my hairline currently looks like. At this point, I've been financially successful (more so than most my age) and know that I could (and I want to) look into FUE. I've discussed with my wife and extensive medication regimens, as well as scarring caused by FUT, are both pretty much out of the question. Doing research over the past two years, I've noticed a pretty consistent warning that I should NOT look into transplants of any kind. However, I feel strongly (obviously) about doing something to not only stop the loss, but restore my hairline somewhat. That all said, has anyone tried the FUE procedure successfully at a younger age, or would anyone have recommendations at this point that I may try? Please let me know. Am i a suitable candidate & Where is best/cheapest in europe? I'm 25 years old and have been loosing my hair since i was 17, once i hit 22 my temples and hairline had recened. I started taking Finasteride which has slown down the rate of my hair loss significantly. I would say i'm a norwood 2 on the scale and have been since starting medication. Which now leads me to my questions, - Being 25 and on Finasteride would i be a suitable candidate for a HT? - Where is the best location in europe to have it done? Looking at costs and results in the UK compared to most other european countries makes it an easy decision to fly overseas for a weekend to get the procedure but where is best. Thank you in advance. I'm planning to go for FUE hair transplant, can someone tell me how many grafts you think I should need? A bit about myself: I'm a 32 year old male and I've had a receding hairline since I was about 24. I jumped on propecia (half a pill) and rogaine relativitly soon thereafter, and either because of that or just because of genetics, the rest of my hair is actually quite full and healthy. I'd say I'm an aggressive Norwood 2 on my left side and a Norwood 3 on my right side. I became adept at using my forelock to cover my hairless but even that slowly became less effective and it was also annoying to have to worry about strategic hair placement all the time. Most people, if they found out I had a hair transplant, would say I didn't need one, and it's true I never felt I needed one, but now that I've had one, it only validated my belief that a modest change to my hairline would make a significant aesthetic result. Now onto that: I had waffled with the idea of having a hair transplant for years. Being relatively young and having most of my hair in tact, I juggled feelings of doubt (would I regret filling in my temples if all the rest of my hair falls out in the next ten years), money (hair transplants are not cheap! ), guilt (with so many balding people who would love my hair, was I being shallow in wanting a relatively minor area filled) and even basic philosophical questions like "given I can't stop my body from aging, isn't it better to just accept aging as it comes instead of trying to fight it, which is a guaranteed losing battle?" But recently I decided to stop overthinking things and adopt the theory that if I did my research and gave myself enough time to reflect that this is what I really wanted, then I could go forward with the surgery and live with whatever consequences there were, knowing I educated myself as much as I could at the time. Thus, I met with a number of doctors and did an insane amount of research, to the point I became an untrained expert on hairloss, and ultimately I decided I did want to proceed, but I wanted to proceed with the best doctor I could possibly find. That ended up being Dr. Konior. I had 1230 FUEs, and granted I'm young and healthy, but the work was so well done that 7 days after the surgery I was able to buzz my head so my existing hair was the same length as the new grafts, and nobody noticed I had a transplant - they all only complimented me on the new buzzed look. There were no visible scabs in the recipient area and no visible scars in the donor area that shortly after surgery. Dr. Konior and his staff are utmost professionals and are very good at being available. Dr. Konior has a reputation as being a perfectionist, and everything I've seen thus far has lived up to that. Not only were my recipient area and donor area extremely clean (even Dr. Konior's staff remarked at how unusually clean they were), I had very minimal pain afterward and it was only for the first few days. Granted, perhaps my age and overall health, along with my relatively small number of grafts, led to such fast healing, and I have yet to see how the grafts will actually grow, but so far every expectation of mine has well been exceeded. Dr. Konior is an artful FUE doctor, and while pricey, worth every penny if you can afford it. If you're looking for the best, you might find equivalents, but I doubt you'd find better. I'll update this, and hopefully my sentiments will not have changed, when the grafts grow. Hair loss began at 16. Help me find a surgeon! As I said in the title; I began my hair loss at the age of 16. I'm 21 now and have experienced manipulation from an Australian hair clinic who essentially gave me a run for my money. My next step is to go through with an actual transplant - I've worked in a job I hate for the past year just to save up for this so I don't want to mess it up. I don't have an impressive budget, but I'm looking at going overseas and getting the transplant done; maybe get some travel experience while I'm there. Please; PLEASE help me find an appropriate surgeon!! I'm very interested in Sweden/Finland/Norway/Denmark, so if you know of any respectable surgeons in that area; please share. Thank you all in advance for any help you can give me. Hey guys, I'm looking for help on this. I've consulted hair transplant clinics and the majority are bottom dollar quacks. I'm 18. I've been balding since 14. My grandfather stabilized at late stage Norwood 6, which is where I am. Wigs are tedious and hats are itchy. I used rogaine for almost a year and had no results. When should I consider HT? And who is the best I can go to? And what is the best that can be done for a Norwood 6. I've been browsing these forums for over a year now, looking all over the internet for possibilities, and potential solutions. After finding out about the scams, I was really dis-heartened that people would offer such false hope to such a delicate matter. 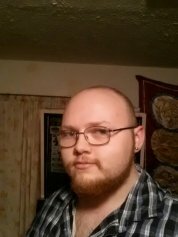 I found that this forum is the most truthful, and well-spoken and after finally accepting that I'm losing my hair at such a young age, I've joined here. ------------------------------------------------------------------------------------------------------------------------------ In short of my history, I used to style my hair JUST 1 year ago, and now I'm at the point where I just move my hair around to hide the receding hairline. I have been using heat products at very high temperatures extremely close to my temples and bangs, sometimes the flat iron would even touch my scalp at over 300 degrees, and I think this may have greatly facilitated my hair loss - I'd like to ask if this is a valid assumption? Today, I came out of the shower to find that it's no longer possible to hide the hairline, I just don't have enough left - and thus I joined here. ----------------------------------------------------------------------------------------------------------------------------- I've been contemplating Hair transplant for a while now - for my age, it seems FUE would be best, but this is a HUGE step - and I'm still in school, with little funds. I've worked enough to be able to afford possibly 1 transplant, giving every last drop of my money. (From research, I'm assuming it will cost me $7k - $11k given my current hair status, if any of you have already had HT's, how much did it cost you?). I'm a young man, so I'm very afraid of Finasteride (Propecia) and it's sexual side effects which may ruin my life forever, although from hours and hours of research, it seems this is the only real medicine that might show results other than minoxidil which i'm not sure will help my case as much - (will it?). I've attached a picture of my temples and current hair loss state - many of you may not think much of it, but the front is much thinner than it looks here, I'm not even able to keep that hair down and have it cover my forehead in the middle, it just looks like strands. I've been looking for a dermatologist, but it's very difficult to get a hold of one, it takes months of waiting before an appointment. I'd be extremely greatful for any feedback to my story, any help/suggestions, or any past experiences you could share with me. Doctors and Experts: Am I crazy for getting a hair transplant? I don't get what people mean about “the appearance of density.” I wear my hair back so there are either hairs growing there or not. Can I possibly get 75% or more of the density I have on the rest of my head? I don't want to end up looking like I have some thinning but my hairline is “not that bad.” Is it unrealistic to aim for a thick hairline that is a least almost as dense as the rest of my head (which is pretty thick)? I'm 18 - should I get finasteride? Hair Loss Scale III at 22.